Congratulations to our new Semester 2 Year 6 Leaders (pictured above). We have set an obtainable target of lowering our carbon footprint over the next three years and we have the team to deliver. Over the next few months our Student Sustainability Warriors will be implementing a number of strategies which will concentrate on reducing our waste, water and utilities. The school is also joining the “Climate Clever Initiative” which will give us useful strategies and the opportunity to collect data to ensure we are on track. On Wednesdays students are trying to be totally WASTE FREE. Any packaging, cling-wrap, alfoil and waste in general that comes to school will go home with them, so become a Waste Free Warrior and construct lunch boxes with no rubbish. Yesterday our “Waste Free Warriors” from buddy classes Year 1 Room 12 and Year 4 Room 24 handed out faction tokens to students who had waste free lunch boxes. Each token is worth 10 points towards the Faction Bonus shield. Thank you to Suellen Knights for making the fabulous Waste Free Warrior capes! We will also be sending notes home electronically to parents the help reduce the use of copy paper, so please make sure both your teacher and the office have your correct contact details and check your inbox and the school website for important information. Thank you to Sarah, Molly and Maysie and Sophie, Julian and Luca for donating their pre-loved puzzles and games for all the students to share. Another great way to support sustainability at school! You have to break some eggs to make an omelette! As part of the building program there has been been plenty of work started around the campus. It is my priority to ensure that the builders understand we need to maximise play space for our students. I have met with John who is the Principal of the new Inner City College. He is keen to form a close relationship with our school community to share his vision and information about this new school. We will keep the community updated about his visits to our school via our P&C and Parent Liaison Representatives. Mrs Mears will be taking Long Service Leave at the end of Term 3 and will be officially farewelled for her retirement at the end of the school year. We are very pleased she has agreed to return to complete a comprehensive handover of her special roles for the Music Program and ANZAC Services. We are currently surveying children in Years 2, 4 and 6 about bullying. We are also seeking feedback from parents of children in these year groups about bullying. Parents will be sent a link to the survey via their Liaison Parent representative. On 15 and 16 July the band and orchestra students enjoyed Music Camp at Ern Halliday in Sorrento. They rehearsed, participated in sectionals where each instrument group practises together, had a fantastic time doing team building activities like archery, caving, flying fox and the big swing. The Spicks and Specks quiz night was great fun as well as toasting marshmallows on the fire. Both the orchestra and band demonstrated dedication and hard work which was showcased at the concert for parents on Monday afternoon. The music camp is run by our amazing parent group led by Caz Shurmer and it gives our students an incredible opportunity to have fun and develop their skills as a performer. We thank you for your time and hard work. Parents of students in Years 1 – 4 are invited to a Music Information Evening on Tuesday 21 August at 5:30pm in the Harbeck library. We will outline the class and instrumental opportunities on offer at Mount Hawthorn Primary School. WELCOME VERONICA – BENVENUTA VERONICA! Our lovely Italian Language Assistant Veronica has arrived and is very excited to be working with our students during Term 3. Veronica is currently studying primary school teaching at the Università Cattolica del Sacro Cuore in Milan and is keen to apply her skills in an Australian educational setting. Veronica will work closely with the students to improve their fluency of Italian, give a closer insight into Italy’s culture and also assist with the pizza and pasta making classes planned for this term. Special thanks to the Young and Siamos families who are hosting Veronica and giving her a taste of the Australian way of life – the Tim Tams have been a hit! The Champion boy and girl medals are awarded to Year 3 – 6 students with the most points from Championship Events held in Athletics week. Champion events are Long Jump, Throws, Distance and Flat Race, A Division only (in line with Inter School events). Please note – Year 1 and 2 students do not receive champion points. Baked goods may be delivered to the school office on Friday afternoon. Please include a list of ingredients with the donations. Support Mount Hawthorn Primary School and enjoy these limited time offers from Perth’s most popular restaurants! For a limited time, you’ll enjoy an amazing selection of valuable Bonus Offers from Odyssea, Jamie’s Italian, and Voyage Kitchen just to name a few when you purchase the NEW 2018 | 2019 Entertainment Membership from us to support our School. All schools in Australia participate in the annual national collection of data on students with disability. 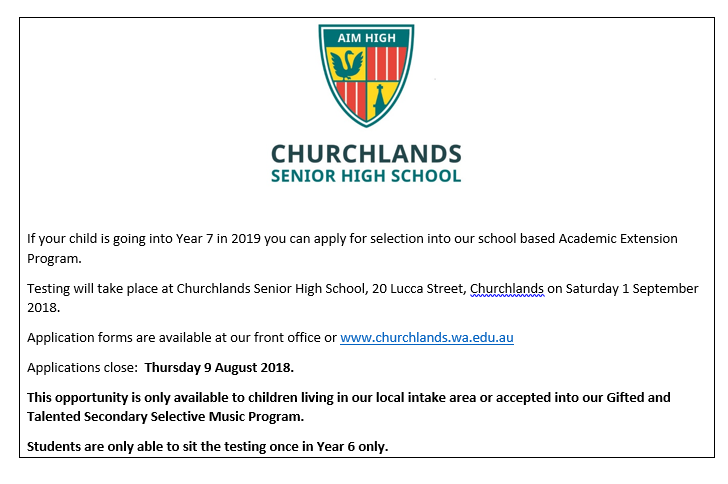 For more detailed information please see parent fact sheets or FAQ’s or visit their website. Click HERE for more information from Roseworth Child and Parent Centre. North Perth Primary School is pleased to announce that Dr Justin Coulson will be coming to speak about what makes relationships flourish especially in family life. For more information click HERE.